Timeless and beautiful, traditional, high-quality handmade rugs are as much art as they are home furnishings. True art stands on its own and doesn’t have to match the colors in the rest of the space. The same applies to high-quality handmade rugs; you don't necessarily need to match colors. Handmade rugs are crafted by skilled artisans, often using natural fibers and dyes. That's part of the reason they're more expensive than their machine made counterparts. These high-end handmade rugs are also extremely collectible. I’ve seen Persian carpets that sell for tens of thousands of dollars because of their exceptional craftsmanship. Most authentic Persian rugs take their name from the city or province in which they were made. Names such as Baktiari and Heriz therefore are geographical references rather than descriptions of designs. Rugs woven in villages and nomadic encampments usually are rougher, looser and are often a family's major source of income. 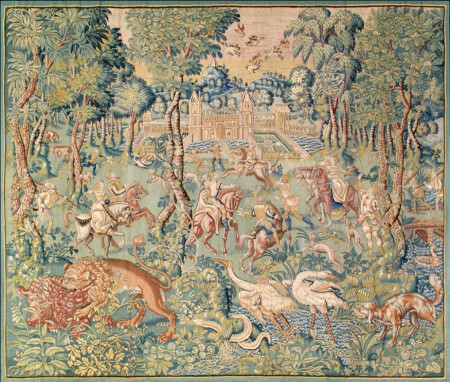 Other rugs have historical significance, Native American and Flemish tapestry rugs in particular come to mind. Very often you'll see these rugs prominently displayed on walls. At the same time, you don’t need to spend a fortune to get a good quality handmade rug. Boteh: Paisley-like, pear-shaped motif (also called pinecone). Gul: Universal design element in geometric octagonal shape. Herati: A diamond pattern with a central rosette, usually surrounded by four stylized, serrated "leaves." Associated with the Persian rug-making city of Herati, now a part of Afghanistan. Abrash: This refers to variations in color, which is the result of inconsistencies in hand dyeing or the introduction of a new batch of wool. Antique: A handmade rug that can be authenticated as at least 50 years old. 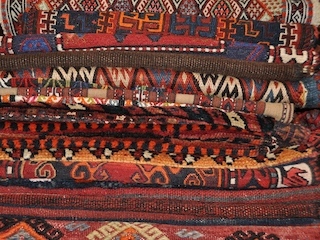 Caucasian: Rugs that originated in what are now Armenia, Georgia and Azerbaijan. They are distinguished by repeating traditional designs. Chrome dyes: Chemical dyes widely used in modern rug weaving that do not fade with age (unlike traditional vegetable dyes). Dhurrie: Cotton flat-weave rug traditionally used in India. Flat-weave: A pileless, often reversible rug (a kilim weave is a universal description of a flatwoven rug). Full cut: A hand-tufted rug, usually from China, in which the face pile has been completely sheared to form a plush surface. Indo-Persian: A rug made in India using a traditional Persian design and knotting techniques. Up until recently, government sanctions made the sale of Iranian rugs illegal. As a result of eased sanctions, Indo-Persian rugs have been widely sold in the US. 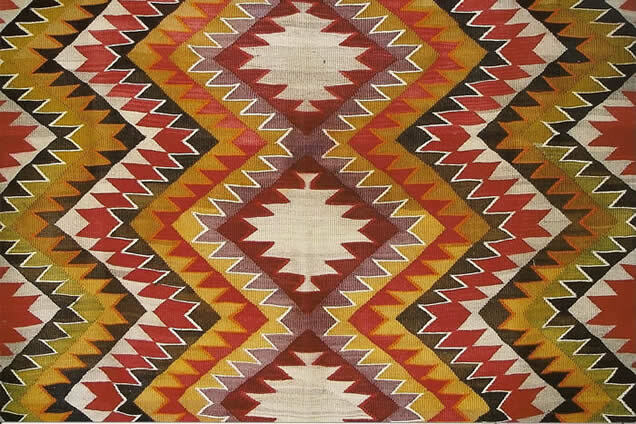 Kilim: Flat weave rugs most often from Turkey and the surrounding region. Knot count: The number of knots per square inch on a handmade rug. The higher the number, the higher the quality of the rug. Line count: The number of horizontal lines of knots per linear foot in a handmade rug. The higher the number, the higher the quality of the rug. Warp: The yarn that runs up and down a woven rug. Weft: The yarn that rugs across a woven rug (kilim weaves are made of only warps and wefts with no knots).